Analyzing history from both sides of the story can encourage students to delve more deeply into the people and events they are studying. But, analyzing is difficult for many students. An easy way to help your students is to add a graphic component. This helps activate various multiple intelligences to assist understanding and retention. There are a wide variety of graphic options for perspective and viewpoint pieces. A few work best with individual historical figures, while others can be used with people or events. Here are some of my favorites. In Roman mythology, Janus was the god of beginnings and endings. Janus is usually shown with two faces in profile. This is also similar to the comedy and tragedy masks in theater arts. For this graphic, two silhouettes are drawn back to back, facing opposite directions, down the middle of the page. I provided a template the first few times we used this method, but eventually my students drew their own in their notebooks. On one side, students list good achievements or effects of a leader or of an important person in history. On the other side, students list the bad achievements or effects. It works great for reviewing presidencies and major explorers. In this graphic organizer, a historical marker or medal is drawn on one side to honor a person while a wanted poster is drawn on the other side to show his/her contemptible actions. Similar to the Janus figures, this graphic can be used to list the good done by an historical figure as well as the harm he/she caused. It works well with explorers, dictators, kings, queens, and presidents. 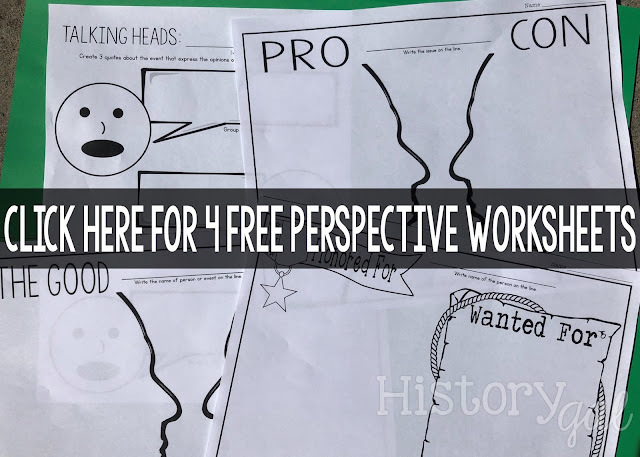 This idea can be adapted into a note-taking device or an assessment by using the historical marker and the wanted poster individually to list the positive actions of a person like Martin Luther King, Jr. or the negative actions of a dictator like Adolf Hitler. This activity truly looks at both side of a story. The topic is written vertically down the center of the page. To the left and right are labels for two people or groups, pros and cons, positive or negative, or advantages and disadvantages. For example, if the Texas Revolution is the topic, students can list the opinions and positions of American settlers in Texas on one side and the Mexican Government on the other. This idea can also be adapted into a note-taking device when learning about topics like slavery with multiple opinions and position. This is a favorite of my students. Talking Heads allows for more than two perspectives on a topic. I pose a question like “What are the advantages of Westward Expansion?”, “How do you feel about the U.S. involvement in the war?,” and "Do you support Martin Luther's 95 Theses?." Students then draw heads to represent three different groups and fill in speech bubbles with an answer. The first time I provide a page with three circles with some simple details, the students get to draw in the features. Eventually the students do all the artwork. Talking Heads can be used with topics like wars, invasion, different cultures or religions. I never expect it to be completed by the end of a period because many students get quite involved in the facial features and art work. 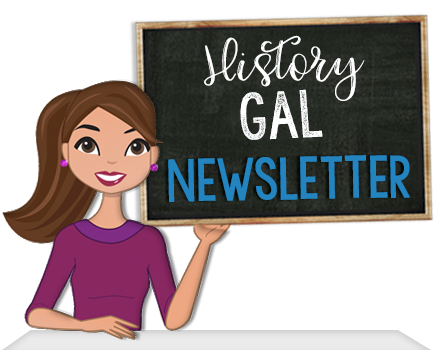 We learn about many of the events in history from primary source documents, especially letters and diaries. Having students write a diary entry, a letter, or even a postcard is a great way to look at two sides of an event. I like to have students write letters as soldiers on opposite sides of a war. For example, what would a North Korean soldier have written to a South Korean soldier or what would a Confederate and a Union soldier have written about the Battle of Gettysburg? While simple, those old standby Venn diagrams and T-charts can still be implemented to look at both sides of a coin. Both make quick and easy note-taking devices. Venn diagrams can be used to compare and contrast like any perspective activity. Two or even three forms of government can be arranged in two or three overlapping circles. A T-chart can be used to compare the British Army and the Continental Army in the Revolutionary War. Once a unit of content has been completed, a spectrum can be used by the individual student as an assessment piece. Students draw a horizontal line across a piece of paper. They label the left end “Least Impact” and the right end “Most Impact.” Student then place the people (explorers, presidents, monarchs, emperors, generals, etc. ), events (battles, events that happened in a person's life, key things about an ancient civilization, etc. ), or advancement (inventions, technology, architecture, agriculture, etc.) they've learned about in the unit on the line where he/she believes they should be on the spectrum. Students then write a 2-3 sentence explanation for each placement. Since this is strictly an opinion piece, any grade should be based on the facts of the explanation, not on the placement on the line. Students can add color and icons make the spectrum even more visual. Sentence strips also work well with this activity. Spectrums are also a great way to initiate quality class discussions. Have students work in small groups and examine something like the inventions of China (gun powder, paper, etc.) and place them on a spectrum labeled “Most Important” to “Least Important.” Create the same spectrum on the board in the classroom. When the groups are ready, assign each group a different colored marker or chalk. Each group writes the inventions in their placement on the class spectrum. There will be obvious differences of opinions. The groups must be able to rationalize their placements and hopefully convince the other groups of their positions. The goal is to try for a consensus of importance. This is a creative writing device for examining an event from two sides or how two people approached one event. For example, the controversy over the formation of a National Bank as viewed by Alexander Hamilton and James Madison makes a great dialogue. Half of the students work in pairs to become Hamilton experts on the topic and the other half of the class become Madison experts. The readings, including quotations, can be provided by the teacher or the students can do their own research. When ready, each Hamilton expert is paired with a Madison expert. Together they write a dialogue using a set of sentence stems provided by the teacher. “The Constitution views the formation of a National Bank as …”,“I believe a National Bank will cause …”,“A National Bank will only benefit …” Some students enjoy getting up in front of the class and presenting their dialogues as a dramatic skit. Editorials or News Reports are a variation of the Dialogues. Students can write an editorial, a news report, or even draw a political cartoon about one view point of an event or person. They are paired up with a student from the opposite side or with a different opinion. These can be presented as dramatic readings or skits for the class. 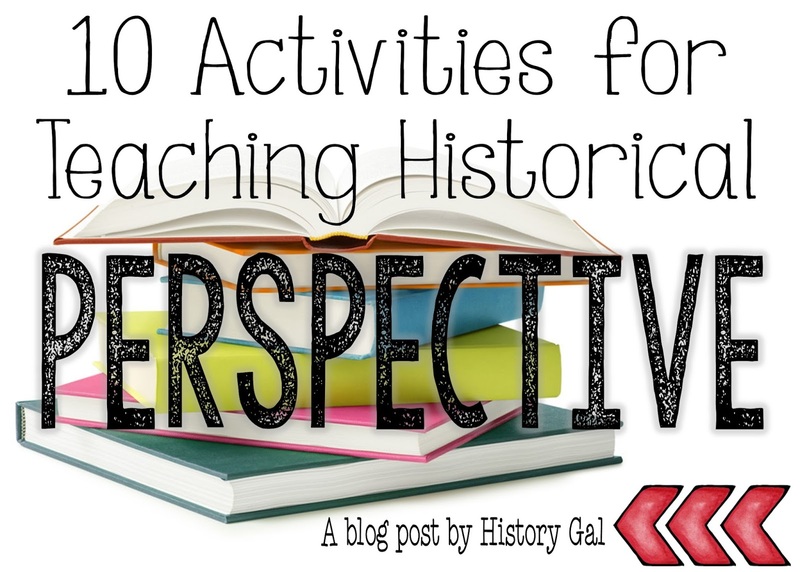 Get creative with your topics - most students don’t think about how the events of American Revolution were reported in London, or how Abraham Lincoln’s presidency was viewed in the South as compared to the North. Try one of these out and let me know what happens!